Today’s Feature: My friend and co-worker, Susanne Langer, graciously agreed to provide today’s magic. Her message of love and family transcends the Christmas season she describes and extends beyond our own short time on Earth. 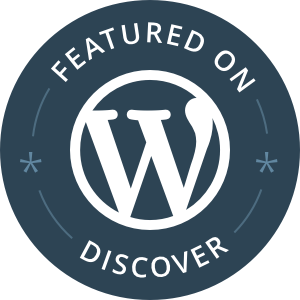 Today’s Challenge: Susanne blogs outside the WordPress space, so please give her a warm welcome in the comments below and check out her personal blog, SusyQ’s Little Bits. Her writing is honest, sweet, funny and downright clever as she shares her close calls with Mrs. C and deals with life’s changes as a woman, daughter, wife, and mama with grace and gratitude. Isn’t it strange how something that seems so normal or routine can provoke such emotion and/or transport you back to a place in time? Back to a memory that seems like it was yesterday but really it was a lifetime ago? I had that experience this Christmas. I received a pair of ruby-red Minnetonka moccasins as a present from T-Roy Dandy. Seemingly an innocent gesture, but seeing those moccasins in that white box brought up all sorts of memories and strong emotions. Growing up, our summer family vacations were spent in the Black Hills of South Dakota. My Mom, Dad, brother and I would load up and hit the road for two weeks each summer. We would do the same thing each year; stop at Al’s Oasis for a buffalo burger, acknowledge the entry into a new time zone at Murdo, stop for free ice water at Wall Drug. Then my Dad would distract us as we passed the sign for Reptile Gardens because according to him, it was a “tourist trap”. As if nothing else was a trap, right? We’d stay in Custer State Park, visit my Uncle Allan, go to the faces, my Mom’s favorite place on Earth (other than in the company of her grandkids), eat taffy in Keystone and ride horses all day long! And through all of this, I wore my Minnetonka moccasins. I always got the brown one with the beads on the top and the fringe. Opening that box this Christmas day brought me right back to that place in time. Seeing my Mom’s face light up as we’d watch the lighting of Mt. Rushmore. I wore my new moccasins all Christmas break, clicking my heals three times and repeating that famous line from the Wizard of Oz, “there’s no place like home, there’s no place like home, there’s no place like home” in the hopes that I could be transported back to a time when my Mom was alive. Each time, opening my eyes to the realization that she’s gone and life goes on, has to really. I have four kids to raise, a husband to love and a father left behind to take care of. Holidays aren’t the same now that she’s gone. She was the glue that held us all together, the driving force behind Christmas and 4th of July, the two times a year we could count on all of us getting together. Don’t get my wrong, my Dad tries but it’s not the same, we all know it. He’s moving on with his life, as he should. My Brother is busy raising three kids, my Aunt guiding her girls (women) through adulthood. All of us moving forward, trying to stay busy and pretend that it’s the same, but it’s not. Fast forward to college at Minnesota State – the memory is of cute boys wearing the Minnetonka moccasins! Ah, remember cute college boys? The group that T-Roy Dandy ran with all wore brown Minnetonka moccasins, whether it was 30 below or 90 above. I flash back to raging house parties and remembering the site of all those moccasins and remembering how fun and carefree we all were! Careening out of control through our college careers/experiences. My only worry was hoping I didn’t throw up on someones moccasins, instead throwing up in T-Roy’s water-bed. That’s right b**ches, my man had a water-bed in college! Alas, staying right where I am and where I’m supposed to be. I look at my new moccasins now and know that my Mom would be so proud of us for raising four caring, wonderful, beautiful kids. I know she’s proud of me for taking care of my Dad, picking up the pieces after she left, for strengthening my relationship with my brother, for taking over her role in being a sound board for her three nieces – filling her moccasins. Now when I look down at my moccasins, I don’t wish to go back, I wish to move forward knowing that she’s walking with me in my moccasins. Love you Mom! Thanks Mamamickterry for sharing my story! I really appreciate you kind and generous heart. The worlds need more people like you in it! Love you blog and you! So many great memories! I always loved them, but couldn’t afford them back in the day. Thanks for comments and kind words. Beautiful post, Suzanne! Thanks for sharing, Michelle. It’s amazing how objects can transport us back in time. I love how you say ‘filling her moccasins’. That’s such a beautiful thing to aspire to when we’ve loved and lost someone. Lovely post Susanne! Beautiful memories, Susanne. Those red moccasins? Those clicks? They did take you back. What wonderful times you had then, orchestrated by the love of your mom. What a great job you do now, following in her moccasin prints. Thank your for sharing this with us today, Michelle. You made this a better Friday for me, my friend. I loved this story, especially because it hits very close to home for me too. I gave my mom and dad moccasins this past Christmas. They are symbolic of a promise we’ve made to dance together at our upcoming summer Pow-wow. We’re working through another bout of cancer for dad, but he’s still breaking those moccasins in for the dance. I’ll have to make sure I get group picture of our mocc’ed feet then too. So great to hear from you. Great new Gravatar, too! When Susanne showed me this story a few weeks ago, I just knew it would resonate for so many people. I love that that moccasins hold a special part in your life, too. Sending you and your dad and you family healthy and healing vibes. Thank you, Michelle. I so love how our world’s synchronicity works. I think her and I are supposed to be soul mates! Thanks Katie! Just visited your page and I’m hooked. Yes, I think we could be soul mates! Katie is amazing, Susanne. Not only is she a talented writer, but a kind and funny soul right to the bottom of her heart. Truly one of the nicest, coolest women in the bloggy-sphere. Susanne is AWESOME! The best parts of my work day are the times we trade inappropriate text messages during teleconferences. Loved this walk down Memory Lane, Susanne! Thanks for opening your heart and space for posts like this, Michelle. I am still lucky enough to have my mother. And honestly, I need to remind myself of that more often. And Susanne. Lovely to “meet” you and thank you for sharing your heartspeak and memories here.